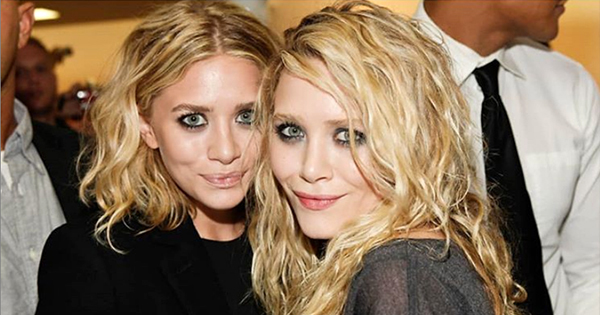 If you grew up in the 90's, then chances are you’ve heard of Mary-Kate and Ashley Olsen. But have you ever wondered what happened to them after all these years? Well, the twin superstars have channeled their childhood stardom into fashion industry success. Below we dive into how the Olsen twins built their fashion empire over the course of a couple decades. After an incredibly successful acting career, Mary-Kate and Ashley Olsen decided to branch out into a new line of work. The twins always knew they enjoyed fashion, and they wanted to take it seriously; their established name would help them accomplish this. In 1999, the Olsen twins partnered with Walmart to create a girls’ fashion line. They saw positive results and decided to continue designing collections. The Olsen twins went on to launch two successful women’s fashion lines: The Row in 2006 and then Elizabeth and James the following year. The Row offers luxurious basic pieces crafted from the finest materials - it's an effortless, minimalistic take on fashion. On the other hand, the Elizabeth and James brand embraces self-expression; women can hone their unique style with contemporary, edgy clothing and accessories. Today, Mary-Kate and Ashley work exclusively on these labels, and both brands still hold their own within the fashion industry. Both The Row and Elizabeth and James continue to release new collections - the latest launched in 2018. What was the primary reason behind their skyrocketing success? Laser focus. Mary-Kate and Ashley are the ideal business partners; the two have a very close relationship with one another. They’re fully dedicated to their visions, and when it comes to the design process, they're perfectionists, making sure each collection is foolproof before it’s released. Furthermore, the Olsen twins don’t interact with social media; they like to keep relatively quiet and don’t believe in product pushing. Occasionally, they’ll attend events and interviews, but their appearances are very intentional. The twins have developed a drive that’s admirable to women across the world looking to accomplish their own goals within fashion. If you’re interested in learning more about their story and the inspiration behind their work, check out their book Influence. The Olsen sisters have received overwhelming recognition for their creativity and dedication they bring to these brands. Although their fashion sense has changed over time, the sisters were always trendsetters. In 2012 and 2015, CFDA named Mary-Kate and Ashley the Womenswear Designers of the Year. Additionally, in 2014 and 2018, CFDA gave them the title of Accessory Designers of the Year.